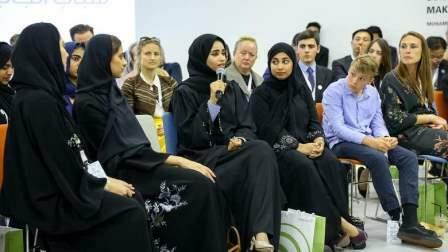 The first multicultural youth platform that engages youngsters in social development programmes was launched in Dubai on Wednesday. The Community Development Authority in Dubai (CDA), inaugurated the first Community Youth Council (CYC), in collaboration with the civil organisations licensed at the CDA. The CYC will be a platform to share knowledge and skills and to exchange innovative ideas with other youth councils, enabling every youth to express their creative thoughts and to be part of sustaining the society happiness. The initiative is the first multicultural youth platform to engage youth across different nationalities living cohesively in Dubai in social and development programmes, reflecting the leadership's vision of encouraging every youth to be able to participate in planning Dubai's future and enhancing their roles in the development of the community. His Highness Sheikh Mohammed bin Rashid Al Maktoum, Vice-President and Prime Minister of the UAE and the Ruler of Dubai, drew a clear direction for the country's future, relying on youth as a main resource for the development sustainability," said Dr Omar Al Muthanna, CEO of Licensing and Monitoring Sector, at the CDA. "Aligned with Sheuikh Mohammed's vision, the CDA strive to gather youth across different backgrounds and interests to contribute to the leadership vision and decision-making for the future of Dubai." During a ceremony held in the Youth Hub in Emirates Towers, Al Muthanna said that establishing the CYC is a long-term plan for empowering youth and utilising their great energy. The CYC is expected to be an effective tool to develop social cohesion among different communities and nationalities living in Dubai. Members will work hand in hand with the CDA youth council to spread awareness for the community in Dubai about the issues that concern the society. Besides, exchanging knowledge and ideas, the platform aims to help benefit youth talents and increase volunteering work.